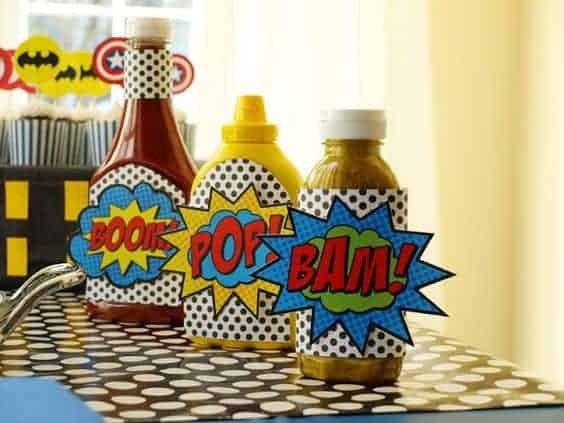 Are you planning to throw a Superhero theme party this Halloween. Your local Halloween Alley has the best superhero and supervillain Halloween costumes for everyone from babies, kids, teens to adults and plus-sizes. 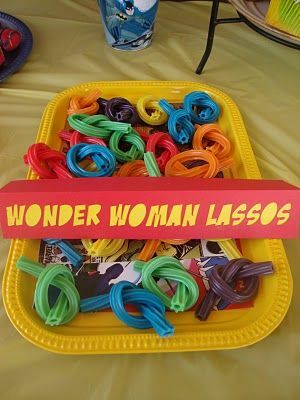 But a superhero theme party needs more than costumes. It’s gotta be superb. You can always play around with pumpkin carvings and create some awesome decorations. You will find cool accessories at our stores that will do the trick. But here’s what we can’t get to you and that’s the snacks. 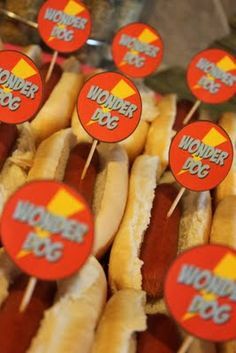 But don’t worry, we’ve collected some great ideas here which can help you get started with your superhero menu for the awesome Halloween party you’re planning. Whatever’s your poison, you can add some edible green jello or colour to it and place it in a mason jar with a tap. Voila! 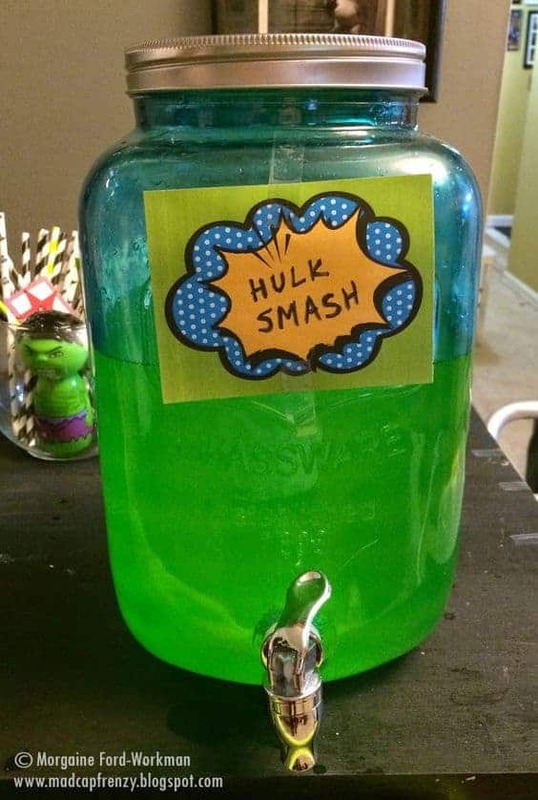 Hulk smashed! Pretzels are loved by everyone around this time of the year. 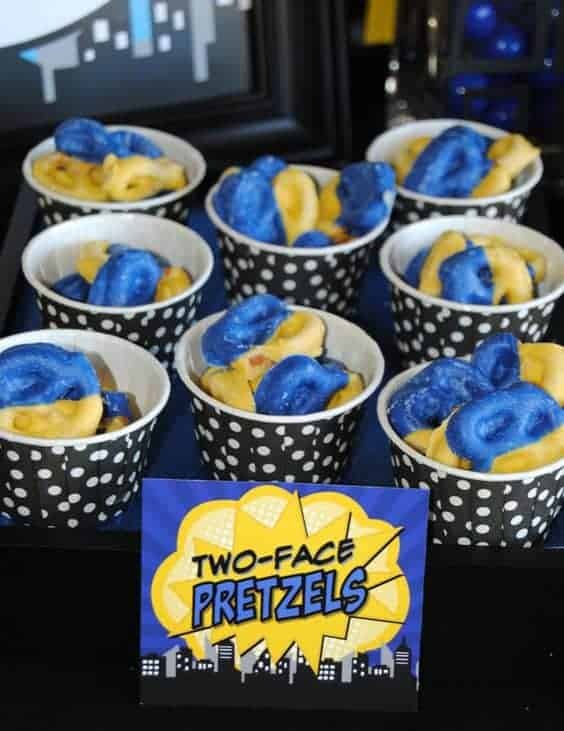 Just make them the routine way and add an edible coating of blue and yellow on the top, in the end. They do make us feel superb. Your usual tonics and spirits can be made colorful using some edible colors and give it a cool name. Your shots will be ready to fire! This is just a clever way of reducing your efforts and still rocking your theme. 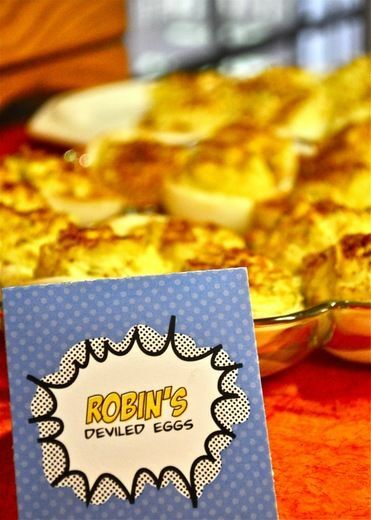 Well, half of your menu items can be regular, but with such crazy titles, your party will continue to rock! 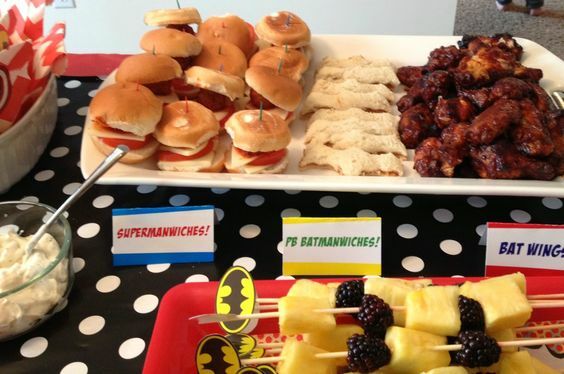 Check out these Batwings, Super Manwiches, WonderDogs and more. 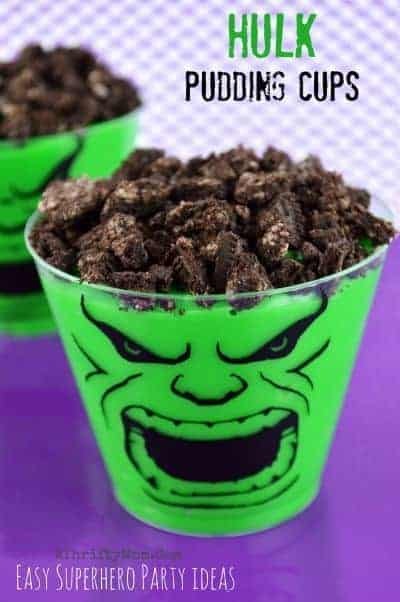 You can find them at the dollar store and just add your pudding to these to have yourself some Hulk Pudding. This will require some effort and some google searches. 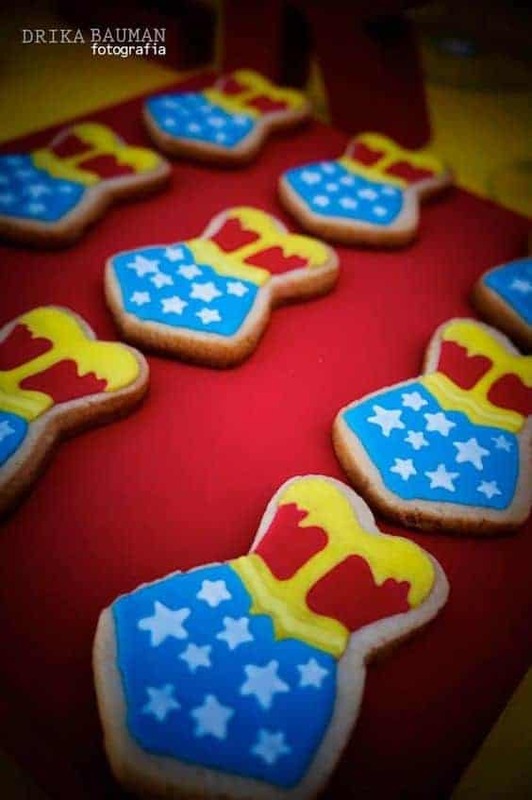 But we thought they are cute and Wonder Woman was kinda getting ignored. This is just great. 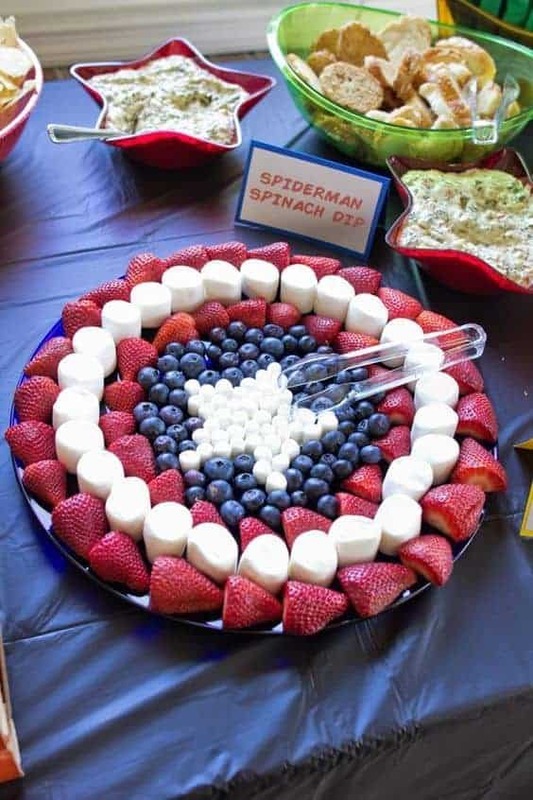 Captain America always knows what’s correct and he’s got you a fruit spread that no one can say no to. 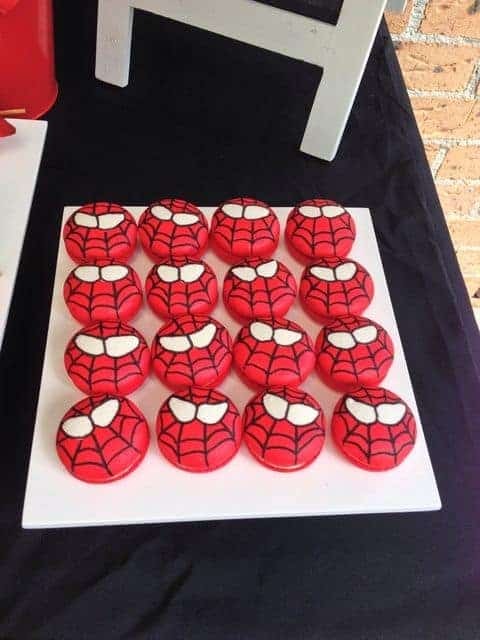 It will be a hit in a kids’ or an adults’ party! These aren’t so difficult to make either. But choco pies will work better here we think. Just some edible coating and jams is all you need to add to your regular Oreos and choco pies. 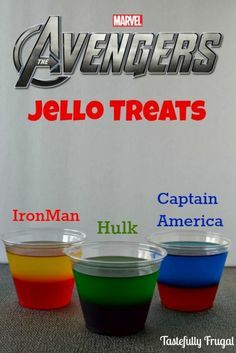 Jello can come in such superman colors. 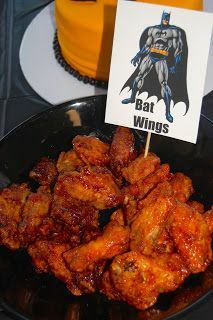 They will be a sure hit at your Halloween party. This will help you wherever you are confused. 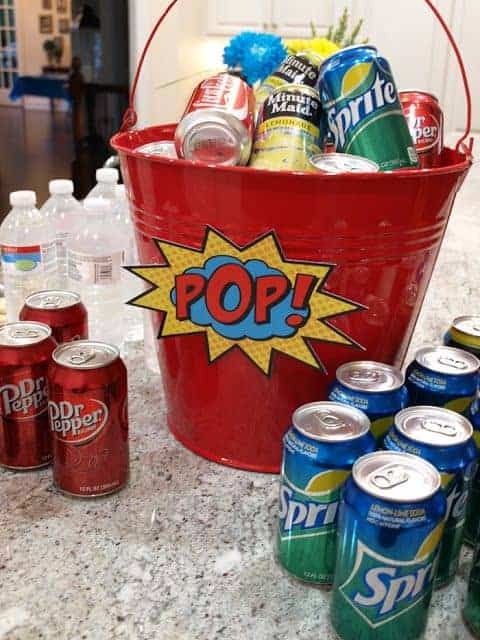 Add these comic style sound effects to all your snack and extras to complete your menu for the Superhero themed Halloween party. For more ideas, keep following us on Instagram and Pinterest. 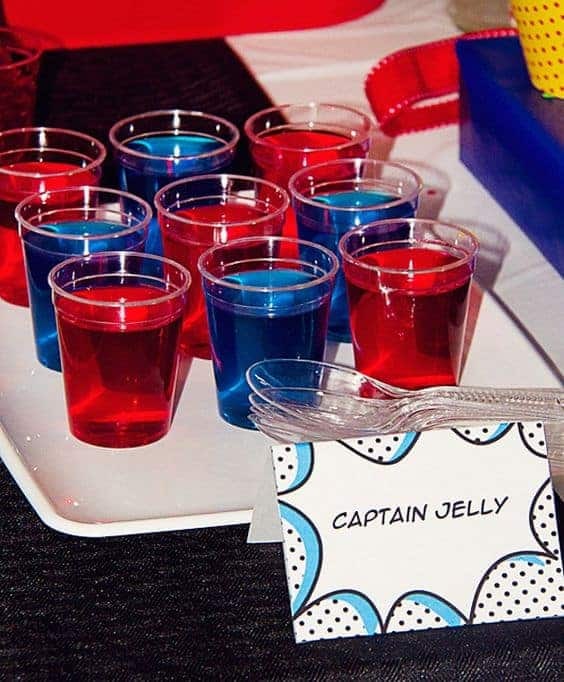 And don’t forget to complete your superhero parties by getting the best superhero costumes, accessories and props from your local Halloween Alley!